This kneeler along with 76 others were made to commemorate the 75 years of Cobham and Luddesdowne WI. However, one kneeler was taken which meant we ended up with 75 years kneelers, our original target. 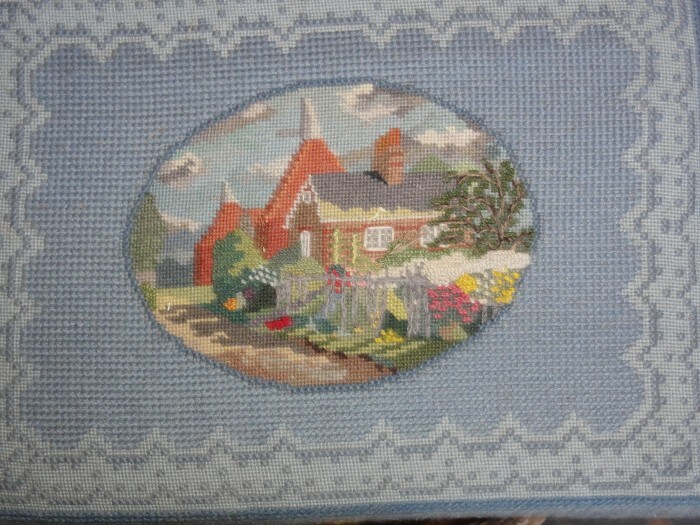 This kneeler reminds us the Oast Houses that once dried the hops that were grown all around Cobham. The Oast Houses are now houses for people!